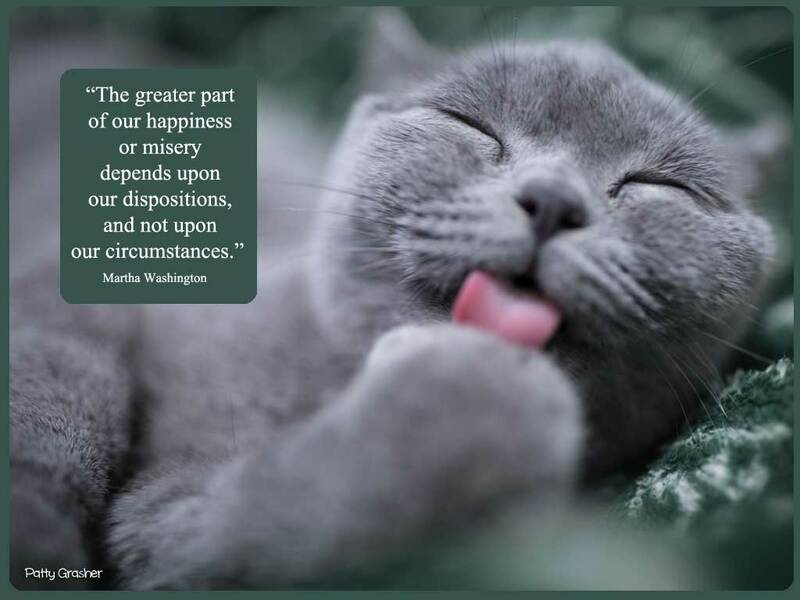 Isn’t that amazing finding a quote from Martha Washington? It makes a connection to someone over two hundred years ago. Kind of links past and present together in one simple sentence. On our walk each day we go by a house that is undergoing a transformation. For a long time it looked like the only thing it was good for was to be torn down. It was not only ugly but had even been condemned by the city. Then a guy bought it as a flip and is doing a wonderful job with it. So fun each day or so to see the changes. New roof, siding, windows, windows cut into the basement, etc. Like a Cinderella story for a house! Sometimes when the guy is there we stop and he fills us in on how things are going. Very fun. 1. Stopped raining long enough to take a walk. 3. Still excited about faster internet – it was . . . so unbelievably slow. 25 Hey, are they real? Love the quote and love banana bread. Would have been nice to take before and after photo’s of the house that is being renovated. Maybe when finished the man will let you walk thru the house. Glad your internet is up to speed. Wish I had taken at least one “before” picture. But the man said he has been taking them so maybe he will share some on Facebook or something. I had no idea it would look as nice as it is shaping up to be! I hope we will get a walk through someday. Would love that. So nice to have lunch with a friend! Someday, truly I am going to get over to the East Coast and stop in for a visit!